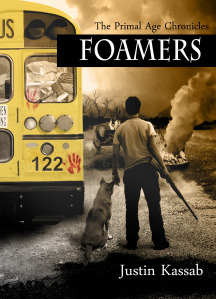 Justin Kassab, author of Foamers (The Primal Age Chronicles), finished an interview with New Asian Writing sharing the inspiration behind his post-apocalyptic novel following a group of survivors and how they redefine themselves in a lawless world. Kassab explained how he researched historical pandemics, gun specs, and even the behavior of chimpanzees in preparation for writing his novel. Kaylie Jones Books, an imprint of Akashic Books, chose Foamers as its flagship eBook publication. There will be sequel to Foamers and visit www.JustinKassab.com for upcoming details.